The best new experience in Raleigh is at The Devilish Egg! We are an arts & crafts studio that offers group craft classes in a fun and energetic environment.​ We provide all the materials, so all you have to do is bring a friend, your own bottle of liquid inspiration, & a sense of adventure & we'll take care of the rest! Our mission is to hatch the natural creativity inside all our visitors, so we offer cool crafts that everyone at any skill level can make & be proud to take home. We specifically tailor our crafts to be easy to understand & create so you can relax and enjoy a fun night out with friends. 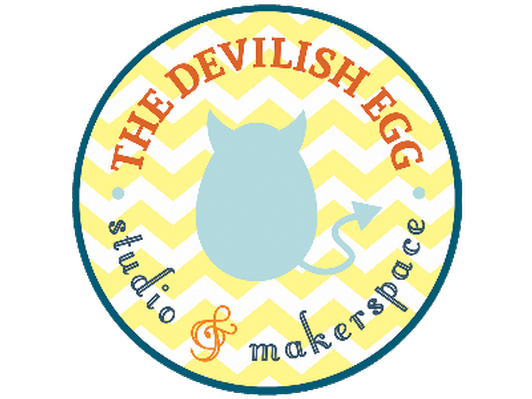 Come see what all the fun is about and become Raleigh's newest Crafty Devil!